Our packages have proven to significantly reduce product damage during the shipping and storing process and saving you time, space and money. If for any reason you have any questions or comments about our industrial packaging services, feel free to give us a call at 630-323-1354 or fill out the form on this page and a representative will respond shortly. With industrial packaging from Packaging Design, your packaging materials will be of the highest quality with a design that fits your product. If your packaging is not secure, you risk product damage, which leads to financial losses and a loss of customer satisfaction when products are received damaged or defective. With a visually appealing display, you can position your product at the store level in a manner that will draw attention and get results. Having your products’ packaging branded with custom industrial packaging helps increase your identity and allows your customers to know not only what is in the packaging, but also who manufactured the product. The team at Packaging Design has nearly half a century of packaging expertise specializing in creating premium custom industrial packaging and storage containers that are cost effective, visually appealing, and durable. At Packaging Design Corporation, we examine the entire production process in order to reduce your overall production costs and increase your plant’s efficiency. 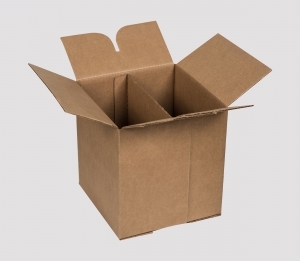 Our industrial packaging services are considerably more affordable compared to our competitors and our team will work with you to ensure you get the best final product available. If for any reason you have any questions or comments about our industrial packaging services, feel free to fill out the form on this page and an associate will respond shortly or give us a call at 630-323-1354 to speak with a knowledgeable representative.